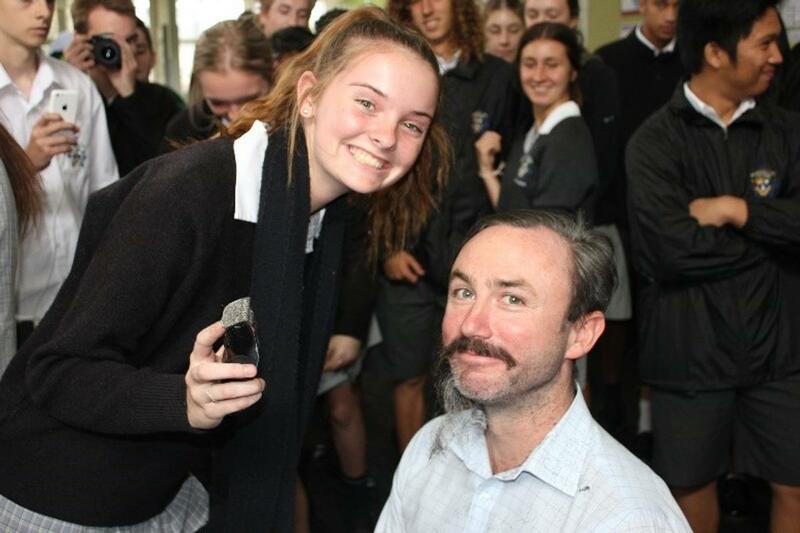 This year Mordialloc College held the World’s Greatest Shave on Monday 25 March. This event gave our school a chance to raise money to donate to the Leukaemia Foundation. I would like to thank everyone who had made donations to our Leukaemia cause, either by sponsoring students to have their heads shaved or students to have their legs waxed or by paying the gold coin entry to watch the event in the Learning Centre. Special thanks to the following students-Lucinda Cameron, Aiden Boyd, Mika Faid, Portia Matthews, Josh Bell, Harry Kelly, Ashleigh Mc Culloch, Reily Maurice, Dylan Henderson, Jordan Walklate and Liam Smith. Also to our staff members getting their head shaved- Michael Haber (and beard shave) and Tim Watson. A special thanks to Justin Wischusen for his beard shave. Also to our helpers cutting the hair- Liz Commons, Loretta Ilott, Adele Stevenson and Miranda Miller (Year 12 student). Together we raised over $2846 – a fantastic effort ! !